LAVINIA GOOD FOOD - Story154. A nice spot to enjoy lunch with your best friend, mother or colleague is LAVINIA GOOD FOOD. The name says it all: good food. It is healthy – think of different kinds of salads with a lot of veggies, seeds, couscous and feta for example. 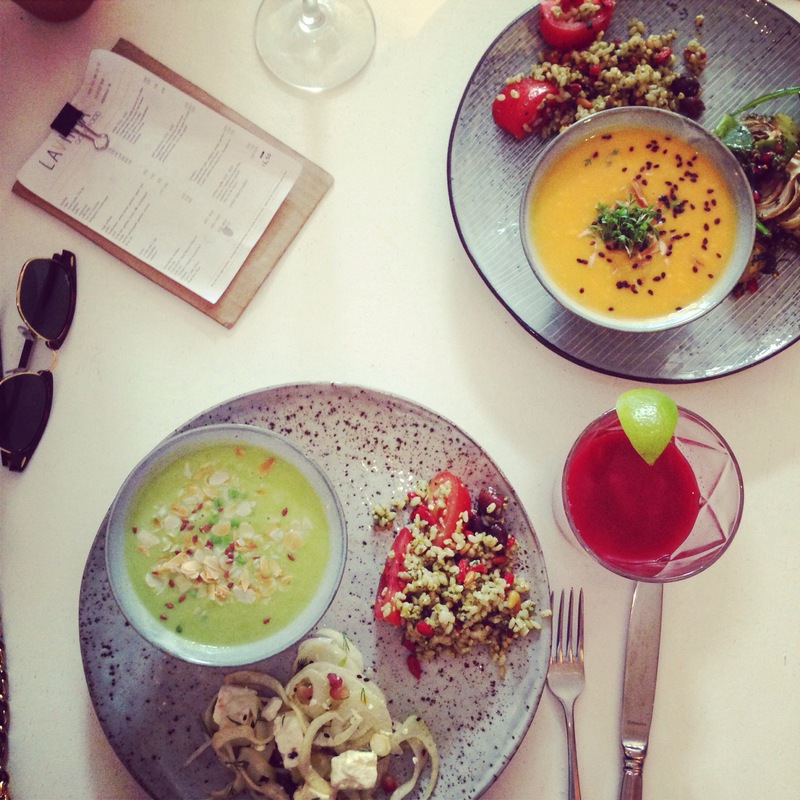 Also very tasty are the gazpacho’s and soups (check LAVINIA’s menu here). We went with the LAVINIA’s buffet of three vegetarian dishes: A salad with fennel, feta cheese, dill and pomegranate seeds, couscous with dried tomatoes, olives, pine nuts and goji berries and a gazpacho of green peas. All very tasty! The interior of the place is very laidback and cosy despite of the big space. It is a nice spot to add to your to-visit-list!